Last week Accessory Genie offered numerous discounted Valentine’s Day gift ideas running through February 10th including our audiOHM HF and BlueSYNC DRM. This week we are happy to add even more discounts on some of our popular classic items. You won’t find deals like this anywhere else! We are offering $15-$20 discounts on the BlueSYNC MC, BlueSYNC MCWB, and BlueSYNC MCX. Triple the Sound- Triple YOUR Savings! The BlueSYNC MC delivers impressive, room-filling, full-range sound with advanced SonusMax design, making connecting to the latest tablets, smartphones, and laptops a breeze. The sleek and stylish wood design enhances acoustics to deliver a deep, rich audio experience. The compact size and design let you plug into an outlet nearly anywhere, while the intuitive controls adjust volume, pause/play tracks, and cycle through up to eight paired Bluetooth devices. The BlueSYNC MC includes an AUX-in port and 3.5mm audio cable for wired connection to non-Bluetooth audio devices. Please use coupon code ‘SAVEMC’ to save $15 on your purchase. 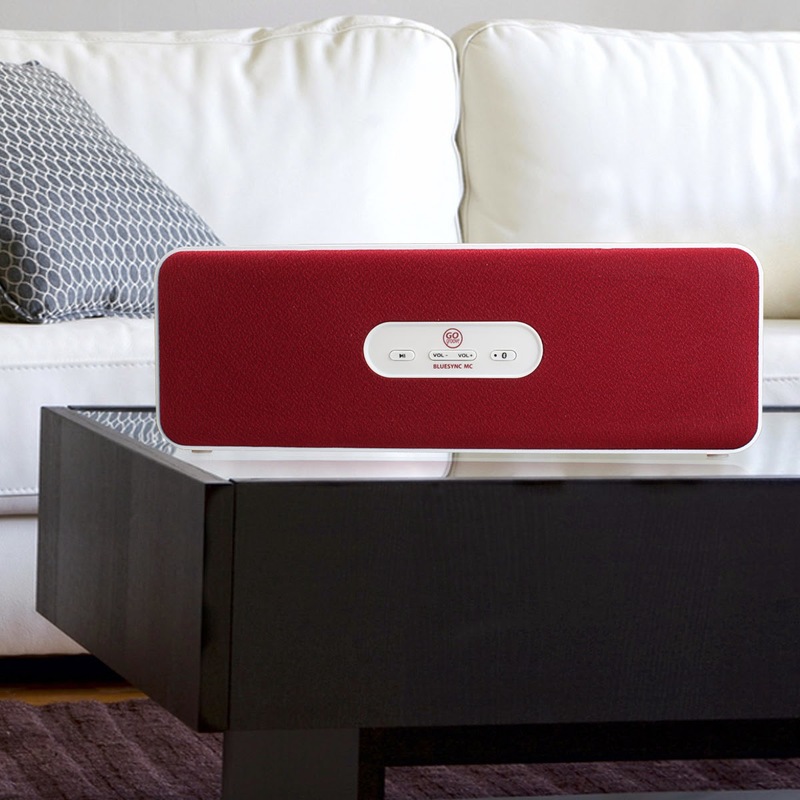 Enjoy true audio freedom with the ability to stream wireless music from up to 30 feet away. Simply hold down the pairing button to easily connect with your Bluetooth device. The stylish, modern design with elegant white wood construction compliments any space at home or the office. The BlueSYNC MCWB is equipped with on-board controls which are designed to let you seamlessly control volume, pause/play, and pair your favorite devices. It includes an AUX-in port and 3.5mm audio cable for wired connection to non-Bluetooth audio devices. Please use coupon code ‘SAVEMCWB’ to save $15 on your purchase. The sleek wood grain housing of the BlueSYNC MCX combines elegant warmth with enhanced acoustic capability for pure, full audio clarity. Whether you’re relaxing alone or entertaining guests, the wood acoustic chamber resonates for rich, silky smooth sound quality. The classic design is perfect for any setting, so feel free to plug into a wall AC outlet anywhere. The onboard control buttons adjust volume, pause or play tracks, and cycle Bluetooth devices. With the BlueSYNC MCX, stream your music from up to 30 feet away or use the AUX-in port and included 3.5 mm audio cable to connect to non-Bluetooth devices. Please use coupon code ‘SAVEMCX’ to save $20 on your purchase. This great offer expires on February 17, 2014 so don’t miss out! Remember you also have a few days left to take advantage of the Valentine’s Day sale that expires on February 10, 2014. Get Up - Get Out - Get Moving!